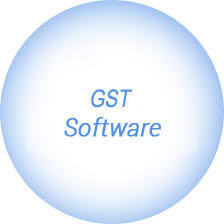 Smart GST Smart GST is specialised software for Advocates and Chartered Accountants to compute GST and prepare Monthly, Quarterly and Yearly returns. GST Enable GenAcc is easy to use window and webbased accounting software with customized bill format. Normal user also able to manage account upto balacesheet without accounting knowledge. Try once we sure you will never like to leave us. Softeare can be modified as per requirements. Here's Surat's first fully GST compliant Accounting software serving best to all types of business..